The colonial city of Morelia is a designated UNESCO World Heritage Site, and from its breathtaking architecture, it’s clear to see why. Besides being the capital of the State of Michoacan – and the state’s largest and most populated city, at that – it is also the seat of government institutions and the most prestigious higher education institute in the region: the Universidad Michoacana de San Nicolas de Hidalgo (Michoacanan University of Saint Nicolas of Hidalgo). Like the rest of the state, Morelia has an enormous amount to offer its visitors, from the colonial spectacle of its buildings and elegant, vibrant streets, to a delicious regional cuisine. Since 2003, the Morelia International Film Festival has also been held each October and has featured renowned directors such as Alejandro Gonzalez Iñarritu, Quentin Tarantino, Pedro Almodovar, and Guillermo del Toro among others. All of this combines to make Morelia by far the most cultural city in Michoacan, offering its visitors a wide range of museums and art galleries, as well as cafés perfect for chatting over coffee while sharing pleasant moments. 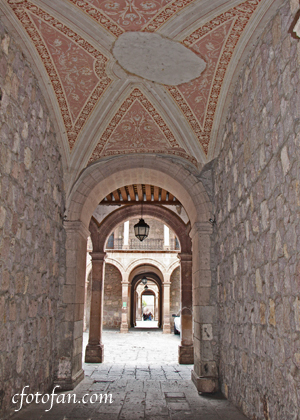 Like all cities, Morelia has stadiums, sports arenas, convention centers, colleges, restaurants and top-level hotels, as well as movie theaters and concert and entertainment venues. There are also activities for making the most of the natural wooded environment and for bringing you back to Mother Nature. Just one example is nearby Lake Patzcuaro, which lies at an elevation of 1,920 meters above sea level, and whose basin is of volcanic origin. Some natives believe Lake Patzcuaro is the place where the barrier between life and death is at its thinnest. The Anniversary of the birth of Don Jose Maria Morelos y Pavon, on September 30th, is one of the most important dates in the local calendar. It pays tribute to the man and commemorates the deeds that contributed to his becoming a national hero. Theatrical works are performed, and there are displays of Morelos’s writings and photographs from his life. The celebration, unfailingly accompanied by music, fireworks and flowers, is held every year in the museums dedicated to Morelos, such as the Jose Maria Morelos y Pavon House Museum and the Morelos Birthplace. A partir de 2003 se lleva a cabo el Festival Internacional de Cine de Morelia, el cual ha colocado esta ciudad bajo los reflectores del mundo entero. Cada año en el mes de octubre, directores de la talla de Alejandro González Iñárritu, Quentin Tarantino, Pedro Almovódar y Guillermo del Toro imparten conferencias y exhiben sus más recientes creaciones para complacer a audiencias conocedoras del séptimo arte. Otro festival de gran tradición es el Festival Gastronómico Morelia en Boca, donde es posible degustar riquísimos platillos tradicionales, vinos y asistir a conferencias y talleres. Además de sus festivales, Morelia se distingue por sus museos, galerías y cafés llenos de vida. Ésta es una ciudad de contrastes: aquí se vive la tradición al máximo, pero también se respira modernidad. Como cualquier gran ciudad, Morelia cuenta con estadios, centros de convenciones, restaurantes y hoteles de primer nivel. Si buscas rodearte por maravillas naturales, este destino ofrece muchas opciones. A 45 kilómetros de distancia se encuentra el lago de Pátzcuaro, que las culturas nativas señalaron como la frontera entre la vida y la muerte. El paisaje que rodea el lago, donde se erigen volcanes, es verdaderamente mágico. José María Morelos es un importante héroe nacional nacido en Morelia. El aniversario de su nacimiento (30 de septiembre) es una de las fechas más celebradas en la capital michoacana. Para honrarlo, se llevan a cabo representaciones teatrales, exposiciones, desfiles, juegos pirotécnicos y otras actividades. La sede principal de los festejos es el Museo Casa de Morelos. This entry was posted in captures, cultura, culture, fotografías, fotos, gallery, historia, history, Images, imágenes, photos, pictures, travel and tourism, turismo, UNESCO and tagged ciudad colonial, colonial city, Michoacán, Morelia, Patrimonio Mundial de la Humanidad, UNESCO, UNESCO World Heritage Site. Bookmark the permalink.